Listening to the same things over and over again can kill your creative process, warns Taylor Swift. Swift, who is about to start working on new songs for her next album, revealed that she often scraps new ideas if they sound too familiar to her. “I may like it, but if it’s going to sound like the last record it is going to get thrown away,” she said. She also confessed that her songwriting is often spurred by anxiety. “When the anxiety starts, the writing happens right after, usually,” she said. Many leading songwriters agree that is important to seek inspiration by listening to plenty of new things – even genres that you haven’t considered before. 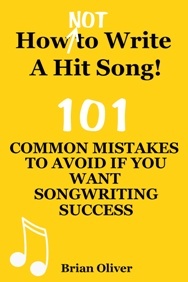 It can help you to start thinking differently about your own songs. For example, Taylor’s good friend Ed Sheeran recently revealed that his follow-up to his 2011 debut album is likely to include a broad mix of influences. In an interview with MTV News, he even hinted that it could feature some hip-hop and rap-metal songs. He recently recorded a track with rapper and hip-hop star The Game.